Maureen Kanefield has enjoyed over thirty years as an educator, passionately dedicated to teaching children of all ability levels, from special needs to gifted students. An insatiable learner herself, she has sought ways, inside and outside the box, for awakening children’s natural curiosity and guiding them to learning successes. Her book, The Magic of Maxwell and His Tail is a micro-guide to life. 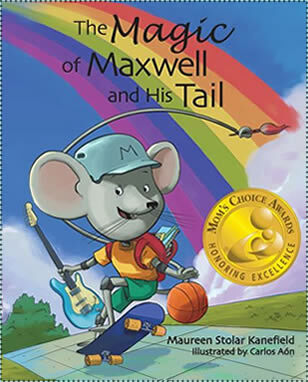 It will delight children as they celebrate Maxwell’s triumphs, and warm the hearts of parents as they watch their kids discover how perfectly special they are. In support of the Special Kids Network and our mission statement to make the lives of all special need children equally rewarding, Maureen will donate a portion of the proceeds from the sale of her book to our organization.